In 2008, two BYU grad students, Devin Daley and Brian Whitmer, grew frustrated when forced to carry out their studies of software usability on, ironically, very user-unfriendly software. 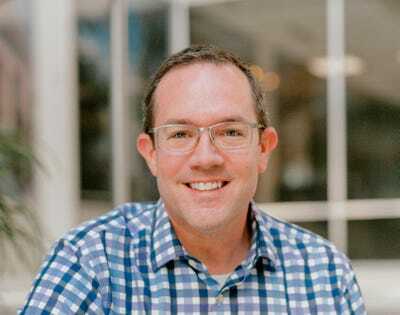 They connected with investor Josh Coates, who provided mentorship and seed money (and later became CEO) and set out on a “product validation tour” before writing any code. 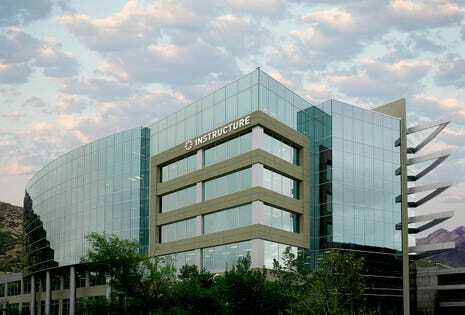 In 2010, Instructure, then operating with just 20 employees, won a contract for Canvas to be the statewide LMS at all Utah public schools and state-funded colleges and universities (over 100,000 students in all), replacing then-dominant player Blackboard as well as beating out seven other potential competitors. Instructure then formally launched Canvas nationwide in February 2011 as the only cloud-native open source LMS software in the market. In 2015, the company launched Bridge, a parallel product intended as an employee development suite for businesses and went on to trade on the NYSE the same year. Today, Instructure has more than 20 million users nationwide, supported by 1,200 employees in offices around the world. On January 1, this year, Coates transitioned to executive chairman of the board, and Dan Goldsmith, previously Instructure’s president, assumed the role of CEO. I had the chance, recently, to speak with Goldsmith. Micah Solomon: How has Instructure managed to grow so quickly? Dan Goldsmith, CEO, Instructure: The open nature of our technology has been a major contributor. The learning market changes quickly, with our customers constantly looking to us to provide solutions that address new market requirements. Being an open-source provider, we’re able to roll out these new solutions without complex implementation or integration projects. Solomon: Apart from this architecture, is there anything philosophically unique about your approach? Goldsmith: Our company is all about supporting human experience that we feel is at the heart of education. We’re a technology company, of course, but we use that technology to make human interactions more powerful. By taking complexity out of the process and by providing consistent, reliable access to educational tools, our intention is to allow educators to fully focus on the true value they can add. Even though our solutions don’t in themselves provide education, they’re designed and refined with an eye on providing the optimal learning environment where educators can do what only educators can do. Solomon: Who are Instructure’s competitors? Goldsmith: Canvas competes against other LMS providers like Blackboard. Bridge competes against other talent management software providers, such as SAP SuccessFactors. But having said that, our solutions are built on an open architecture and that has fundamentally changed the competitive landscape. Where, in the past, third-party tools and applications would be a competitive threat to a solution like ours, by taking the open architecture approach, we’re now able to view them as opportunities, since third-party solutions can be easily integrated with our platform as they are developed. Solomon: Apart from the competitive landscape, what are your most pressing challenges? Goldsmith: Without doubt, the biggest challenge we will face is the pace of change in this market. The days of the static syllabus are over. The days when education was about reading, writing and arithmetic are long gone. Learners today are faced with an unprecedented universe of content that is growing all the time. Add to that shifting demographics: We are all living longer than ever, and the learner lifecycle is changing. Between the first day of school and the last day of work, we might have three or four or five different careers, each requiring that we learn and apply new information and skills. And that’s only on the “demand” side of the equation! On the “supply” side, the multiplicity of content sources, formats and media means that getting the information we need in a logical, constructive manner is also increasingly a challenge. Finally, we are entering in to a world where machine learning and artificial intelligence will play more of a role guiding us in everyday learning and growth. Solomon: What’s next for Instructure? Goldsmith: Bridge is now having success in the corporate market that’s proving to be similar to the way Canvas has transformed the education market. So that’s very exciting and definitely a big push. We’re also excited by the opportunities in international markets, and are encouraged by our successes in Europe, Latin America, and Asia to date. Every market is different, which is unquestionably a challenge, but the strength of our solutions lies in their openness, which can deliver a user experience in any geographic market that is adapted to cultural norms.